Fraudsters are getting wiser and have more tools at their disposal to steal personal identities. Someone could be using your private data right now – your Social Security number and tidbits about you from social media sites – to sign up for a credit card under your name. Worse, they could be using this information to hack into your bank accounts. Unfortunately, identity theft has become more common in recent years and may not abate if consumers don’t take steps to protect themselves. Through various surveys, CreditDonkey.com has found consumers continue to make mistakes, such as openly sharing critical passwords with outsiders, which put them at undue risk for identity theft. We've gathered the most current statistics, news, and resources about all too frequent Internet scams and stolen security codes. 66% of consumers who have had fraudulent charges were the first to notice them – not their financial institution, according to a CreditDonkey.com survey. Identity theft was the #1 complaint category in the Federal Trade Commission’s (FTC) Consumer Sentinel Network Data Book, with 18% of the overall complaints, followed by debt collection (10%) and banks and lenders (6%). Florida is the state with the highest per capita rate of reported identity theft complaints, followed by Georgia. Miami-Ft. Lauderdale-Pompano Beach metro area was #1 in identity theft consumer complaints. 32% of victims did not notify the police department. Crooks are misusing the information for a shorter period of time, making them harder to catch. Consumer information was misused for an average of 48 days in 2012, down from 55 days in 2011 and 95 days in 2010, according to a Javelin Strategy & Research 2013 Identity Fraud Report. 1 in 4 who have received a data breach letter became a victim of identity theft and fraud, according to Javelin. Who is most at risk for identity theft? According to the FTC’s Consumer Sentinel Network Data Book, the highest percentage of identity theft victims were age 20-29. Is this age group more susceptible because they are less likely to regularly track bank account and credit card activity, pay for identity theft monitoring services, and use discretion when sharing information on social media? According to the same FTC source, children, 19 and under, made up 6% of all identity theft victims in 2012. Parents worried about their little ones should check the credit bureaus to see if there’s a consumer credit file under their child’s name. Such a file is triggered by an application for credit, a credit account, or a public record. That means a child who has an existing credit report may be a target or victim of identity theft. 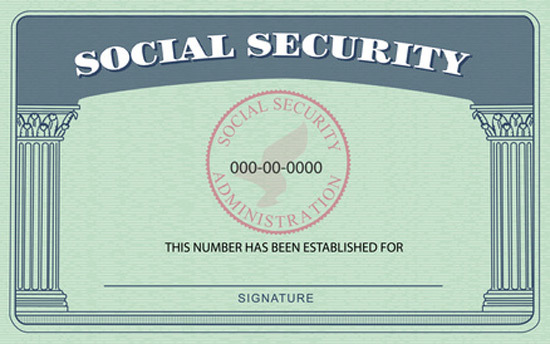 According to the FTC’s Senior Identity Theft Workshop, growing problems for this age group are government benefit fraud and medical identity fraud. The identities of nearly 2.5 million deceased Americans are used improperly to apply for credit products and services each year, according to a 2012 study from ID Analytics. When & where are consumers most susceptible to identity theft? Details such as your address, whereabouts, birthday, and pet's names are there for the taking, if profiles are not "private." As it is, some people are not careful with their information. According to a CreditDonkey.com survey, more than 3 in 10 share their password with a friend. Nearly 25% add “friends" on Facebook they don't know. According to a CreditDonkey.com survey, 68.4% of consumers use the same password for multiple websites, an FTC no-no. The Federal Communications Commission (FCC) reports that mobile security threats have increased more than 350% since 2010. The Javelin report found that 62% do not use a home screen password — enabling anyone to access their information — and 32% save login information on their device. The FCC has created a new stolen phone database with the major wireless service providers. They advise reporting the theft to local law enforcement and registering the stolen device with the service provider. Access the FCC’s “Smartphone Security Checker” for tips on protecting and securing any particular mobile device. Tax-related identity theft keeps growing, according to the Treasury Inspector General for Tax Administration, a government watchdog. The IRS identified more than 1.8 million tax-related ID thefts during 2012, more than four times as many as in 2010. 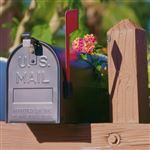 How can consumers avoid and fight identity theft in 2013? Keep an eye on your credit reports and those of your children. Some paid services, such as TransUnion’s, will put identifying information, like your child’s Social Security number, on a monitoring service. For the highest enforcement group, contact the IRS Identity Protection Specialized Unit at 1-800-908-4490. The IRS Identity Theft Affidavit, Form 14039, permits the IRS to mark a potential victim of identity theft and tag a tax account to identify questionable activity. Equifax's IdentityProtection.com provides educational resources, expert tips, stories from real-life ID theft victims, and information on tax, medical, and child identity theft. The site also sells Equifax's ID protection services. CreditDonkey’s “Identity Theft: Guide to Protecting Your Good Name” gives steps you can take to avoid becoming a victim and what to do if the worst happens. Free counseling for identity theft victims is available from the nonprofit Identity Theft Council. 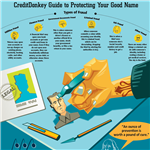 As identity theft increases, here are important tips to protect your money and good name (in a CreditDonkey infographic format). Are you setting yourself up to become the next victim of identify theft and don't even know it? 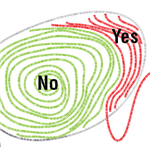 Here are 23 ways to make sure you won't be. Share on Facebook "Identity Theft Statistics: Why You Should Be Alarmed"